Essen. 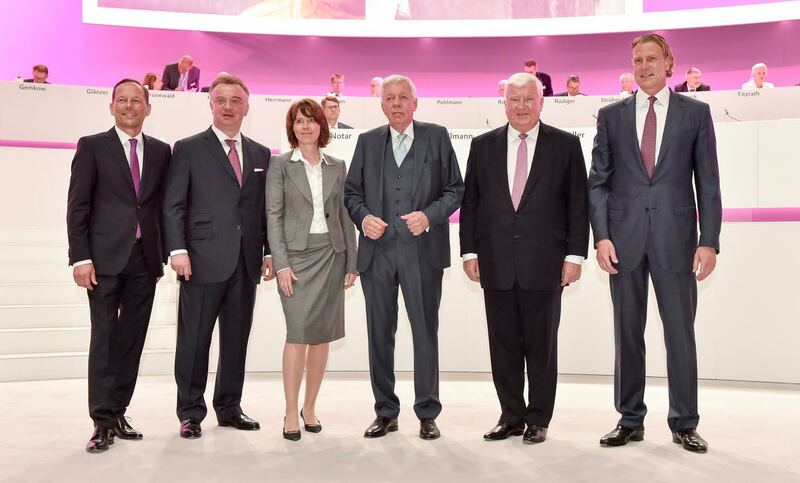 Klaus Engel, long-standing chief executive officer of Evonik, handed over to Christian Kullmann at the end of the annual shareholders’ meeting. In Essen’s Grugahalle Engel bid farewell to the shareholders. Werner Müller, chairman of the supervisory board, thanked Engel for his great service. With a stable dividend of €1.15 per share, Evonik again generated a return for investors of more than four percent, measured by the closing stock price on December 31. Shareholders at the annual meeting approved the dividend proposal with almost 100 percent and endorsed the actions of the executive and supervisory boards with similar majorities. Shareholders voted in favour of Aldo Belloni, chief executive officer of Linde AG, joining the supervisory board. Belloni will replace Haniel CEO Stephan Gemkow, who resigned his mandate at the annual shareholders’ meeting.